The KitchenAid Artisan Blender is no ordinary blender. 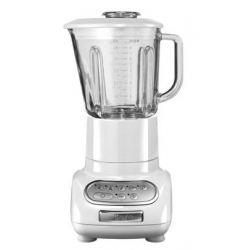 It's powerful, built to last and will always give you consistent results, whether you want to stir, chop, mix, puree or liquify a vast range of foods, as well as crushing ice for cocktails and drinks. It's the ideal food preparation tool to use all day long.